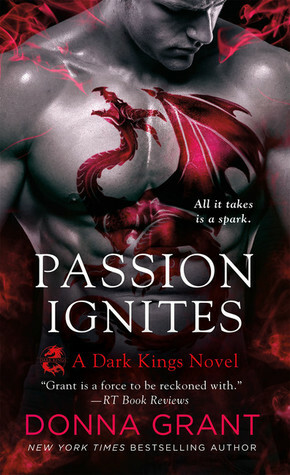 The Really Short Reviews of the books in the Dark Kings series continues with a review of book eight, Smoldering Hunger, as well as reviews of the first two books in the spinoff novella series, The Reapers! Things are getting exciting, y'all! I loved them. I loved them so hard. Such amazing book crack! Like some serious book crack. I couldn't put them down once I started them. I'm officially caught up until the next book comes out in April and the wait may kill me! Seriously. Things are starting to go down finally! Just a reminder: If you haven't read anything by Donna Grant, don't start with either of these series! I would recommend picking up her Dark Sword books and the Dark Warriors spin-off series before starting Dark Kings and The Reapers to avoid spoiling both of those series. Have you started this any of these series yet??? 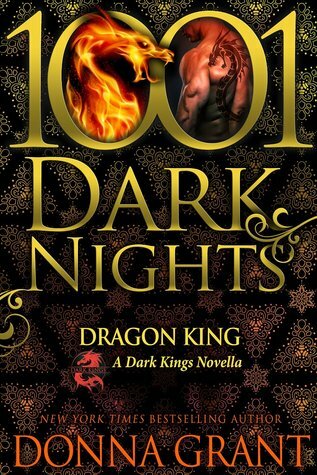 Warning: These reviews are for the first two books of a spin-off series that takes place after book seven of the Dark Kings series as well as the next book in the series. There may be spoilers so scroll down at your own risk. This new series involves seven Reapers aka elite Fae assassins, with extremely different and intriguing personalities and skills. Each Reaper is presented with full character descriptions and hints of mystery as to why they act or react the way they do. I want each book that will be in this series so I can find out each of their backstories because I'm intrigued. Most of all, I want to know more about Cael and Eoghan but all of them hold my interest. I enjoyed reading the start of this new spin-off series! This story wasn't what I was expecting and it was more of a set-up book to introduce us to the Reapers since we got a few hints about them in Passion Ignites. I really liked the characters and I'm attached to them already! I didn't even mind the insta-lust between Baylon and Jordyn. And while I liked Baylon, Jordyn is the one that stole my attention and I ended up loving her by the end. She's one fierce heroine! As much as I liked this, the pacing felt a bit off and I think it has to do with the length of this story. Things would have been a bit clearer if there had been a few more pages. Overall, I really enjoyed this. I'm intrigued to read more in this series! It has a lot of potential and it just adds to the Dark Kings books. I like learning about things from the Reapers's point of view because it's so different from that of the Dragon Kings and Rhi. It also explains some of the things that have been happening like who has been following Rhi. I'm going to be honest with you. I struggled a lot with this book. I ended up liking it but this series is getting really repetitive. Each book has had the same struggles. Ulrik is going to go after the female main character to hurt the male main character. Con is going to continue keeping the Kings in the dark with half-truths while continuing to hope that the rest of the kings won't fall in love and find their mates. We are going to forever be reminded that Rhi and her Dragon King had a great love but that King is still absent and nameless and I'm beginning to think we will never know who he is. The weapon that the Dark once sought is still hidden and being kept a secret from most of the Kings. See what I mean? All of these things have been at the forefront of each book and I’m getting sick of the repetition. Each book has done wonderful at having different kinds of heroines and Kings with different personalities. And I've really liked the romances in each one but I'm to the point with this series that something needs to happen. We've gotten a couple of really big reveals but it hasn't been enough to offset the repetition. Also, Rhi is driving me crazy with her decisions and waffling back and forth. I get that she's lonely and had her heartbroken, but why the hell is she being pushed toward the person who tortured her? That's just so not okay. Okay. Rant over. Let's focus on other parts of this book. I ended up really liked Darius and Sophie together. They're two very broken people that help make each other whole. I didn't like them together at the beginning because they were both being unemotional yet obsessive at the same time. I get that they both have baggage but it was a weird way to go about them coming together. This whole book kind of felt off, honestly. What I absolutely loved about this book was Sophie's friend, Claire! I hope we see more of her in the future books! As I said earlier in this review, Rhi is driving me crazy with her choices but I will say that I'm happy that she finally made a decision in this book. I'm just not happy with some of the other things she's been doing. Honestly, I still want her to end up with her Dragon King again even though he's been absent from her life. We've been shown in previous books that he's still doing little things for her. I just want to finally know who he is and why he chose to break it off with her. There has to be a valid reason. Although, I am kind of shipping Rhi with her Reaper shadow, Daire. If she doesn't get back with her King, I'm totally on board for them getting together. Overall, I liked it and I'll probably keep reading this series. Because let's be honest, I want to know what happens with the characters and I want them all to get what's coming to them whether it's a happily ever after or a slow, painful death. But what I really want... actually what I need this series to do is to move on from where it is and leave some of the repetition behind. We need more forward momentum because things have seriously stalled. I was kind of meh about the first book in this novella series even though I liked it. But I really connected with this series with this one! I loved it! The plot is fun and unique! And it stands on it's own while being seamlessly intertwined with the events in the Dark Kings series. Everything felt new and refreshing while still being connected to what's happening in the other series. One of the things I've liked learning about the Reapers is how Death is portrayed. First off, Death is a woman and powerful Fae. But she's not the grim personification that I've come to expect when Death is a character and I like that she has her own band of enforcers. The thing that has intrigued me from the very beginning is that the Reapers are composed of both Light and Dark Fae. Especially with how the majority of the Dark are portrayed as evil and selfish beings in the Dark Kings series. The fact that the Reapers work as a cohesive unit despite the backstories of each character whether they be Light or Dark is refreshing. And I'm glad to see that we got to learn more about one of the Dark Reapers in this novella. I really liked Kyran. I'm not sure what I was expecting but I wasn't expecting him to be as sweet and loyal as he was. I apparently made some stereotypes for Dark Fae while reading the books. Whoops! And as much as I loved Kyran, I adored River! Warrior scholar trope for the win! I loved her and how strong she was because of her backstory. And I really liked Kyran and River together! In my opinion they definitely had better chemistry than Baylon and Jordyn. I'm so happy that this one seems to have had been edited more thoroughly for typos than the first book, but it still had a few. As with the first book, the typos didn't distract me from the story and I ended up flying through this novella. I can't wait for the next one in the series! I have my fingers crossed that we will soon get a novella with a certain Reaper and Death because I'm totally shipping it after their interactions in this story!